History of Artefact This was used for hoisting shells - 800 pounds in weight – and was built as part of the original fabrication of the fort. 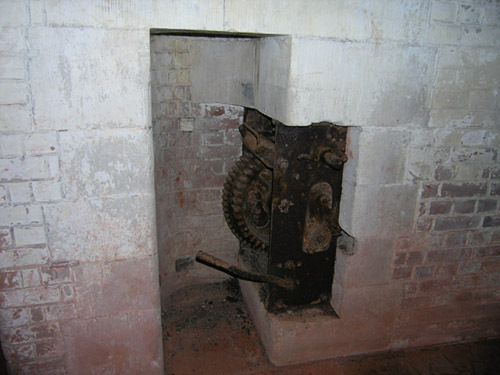 The shells were used for one of the nine guns. There is only one left and it is in poor condition. The shell hoist is located next to an installed tube used for the soldiers to shout through to call for a shell when needed. The tube went up to the gun deck by each gun.